No surprise, he told me he has enjoyed my posts on the false biomechanics memes plaguing Modern Golf (such as “using the ground,” “vertical lift,” etc.) and congratulated me on cutting through the tripe. This ties into last night’s Volvik World Long Drive Championship won by Maurice Allen, and this is the second year in a row that I’ve missed out on the event. Last year, I think I simply overlooked it, but this year, I deliberately didn’t watch it, although I might watch the highlights sometime to check out the swings. If you’ve been watching the world Long Drive competition, you’re now hearing and likely seething at the new buzz phrase, “vertical thrust” along with “using the ground.” I guess “vertical thrust” is supposed to sound more technical than “jumping” for power. You’ll notice the MCS-style setup & bias, along with the “shock absorber” knee action on the finish, as well as the releasing right foot. The toe grabs slightly but you do see it move and that’s all he needs. Not to mention, watch his hip & leg action and that “stepping into it” move on the down swing, which I’ve covered in the upcoming “MCS – The Kinetic Chain” video. The twisting leading foot on the toes is only due to the fact that he’s got it so squared it actually looks turned-in a little at impact, and you can’t get to the finish with it in that position without breaking your ankle or snapping your knee ligaments. Hence, Allen turns on the outside edge of his leading foot to avoid injury, so while the heel does come up, it’s not a “flying foot” in any way shape or form. It must have disappointed the analysts covering the event to not be able to proclaim that Maurice was “using the ground” or getting “vertical lift” or “vertical thrust” in that swing. Maurice Allen is 5’8″ tall! And the new World Champion in Long Driving, so what does that tell you about the “using the ground” stuff? So… Today’s Clubs Aren’t Longer? If you read this short piece on Golf.com by the editors (not named), you’ll see that any claims about the equipment not giving today’s players more and more advantages are complete bunk. Because, if your old driver still works, why would you buy another one? Why do the best players in the world on the highest level Tours need larger sweet zones and greater forgiveness? They are using clubs designed to help hackers play better golf with terrible swings – if you’re so good, why do you need a larger sweet spot and more forgiveness on low-heel and high-toe hits? Today’s pros are using hackers’ clubs, and you wonder why they’re hitting it longer and longer, especially with modern balls designed to spin less, increasing carry distances even more. In my opinion, I think pros should be using clubs and balls that identify the purest and most accurate swings and ball-striking. If you’ve been getting whiplash following the ins and outs of Tiger Woods and his putting woes, you’re not alone. Last week, Tiger (I can’t find the quote but you’ll have heard this) said that the new TM Juno putter was better than his old 14 major-winning Scotty Cameron putter. Fast-forward to his horrid putting performance using that putter, and he’s now back to the Scotty Cameron for this week’s BMW. 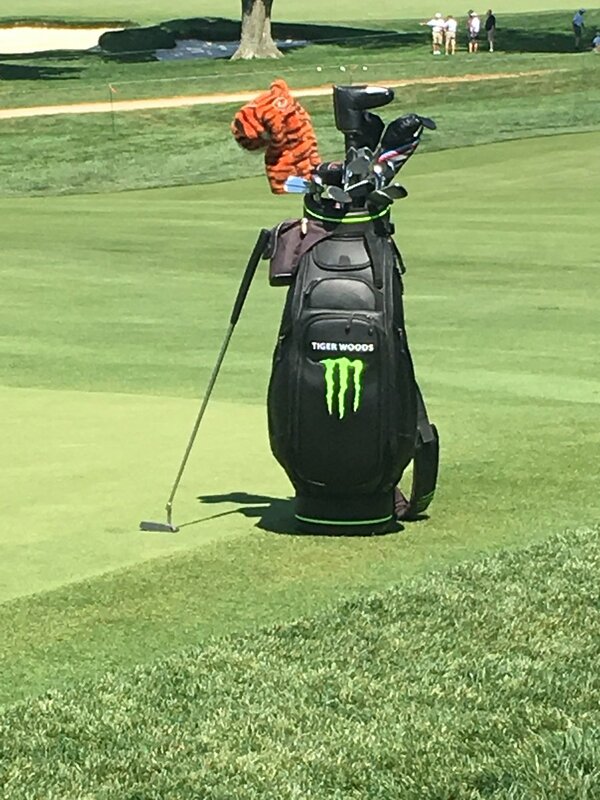 Multiple observers spotted Tiger with a different putter than he used Monday in the final round of the BMW Championship. 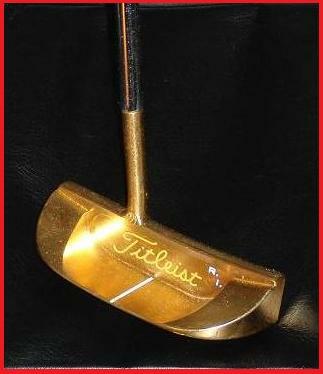 Reports suggest that the “new” club is not new at all, but his trusty old Scotty Cameron Newport 2 putter. That clunk you heard was every TM ad executive falling out of his chair – either that or orders of the Juno putter plummeting into the cellar. Back to work I go, have a great 1st Round Thursday, everyone! The TM reps comments are too funny(and BS). I was just at the Champions Tournament last week. And one would think that after 50 years of age they’d want a club that would give them more distance. To my surprise very few of them had new drivers, yes a few had the newer M3 but for the TM users most had the older M1/M2. Maybe they can’t afford a new TM driver anymore, you know because they only make a few mil a year now. Yes Vijay and Darren Clarke had the M3 but they still play on the big tours as well. I noticed Billy Mayfair had the new Titleist TS head covers but under the driver head cover was a lowly Ping G30 which he could get to go over 300 yds(according to my gps shot function)I followed him for 18 holes and every driver was over 300yds. And under the TS fairway head covers were not Titleist woods and not new ones, don’t recall what they were. Cory Pavin wasn’t using a new driver either , don’t recall off hand what it was and I didn’t recognise the shaft either, but it looked like it was old. I think I must have watched most of the field using their drivers and there was very few new drivers being used that I saw. Just more BS from the manufactures that happens every new equipment year. I would actually take a slightly different view of the fact that few of the Champions Tour players are using new drivers, Walter. Looking above at the TM exec’s claim, that squares exactly with what Lord Byron was saying. All of the older players on the Champions Tour grew up with persimmon clubs (since metal heads didn’t come out ’til the 90s) and switched to metal clubs of course when persimmon went away, but they likely don’t get much out of the newer drivers because they’re pretty pure with their striking… so there’s not much incentive for them to constantly switch to and have to get comfortable with the new stuff. They have a limited time to make hay while the sun shines, due to how rapidly they decline after turning 50. As well, golfers tend to be creatures of habit, and the older the player, the more resistance to change. It took Tiger Woods forever to switch to the newer technology – he won his Tiger Slam with the Titleist 975D driver when there were much bigger and more forgiving heads – and the fact that he’s using the newest drivers might explain why he’s able to swing at the speed now that he did 15 years ago. Give him that old Titleist now and I’m sure you’d see a drop in his swing and ball speed, to keep the ball in play. Today’s players can’t find the sweet spot to save their lives much of the time, so they will eagerly grab for the newer, more forgiving clubs. That’s how I’d look at it. Okay, I’ll go along with that. Wow, what a great swing from Maurice Allen. Outside of the early toe grab (as you pointed out) and early lifting of the left foot, it is a thing of beauty. Nice to see. I’ve still got my Scotty Cameron Riuji Imada Special Edition putter! I’ll have it ’til they pry it from my cold, dead hands. 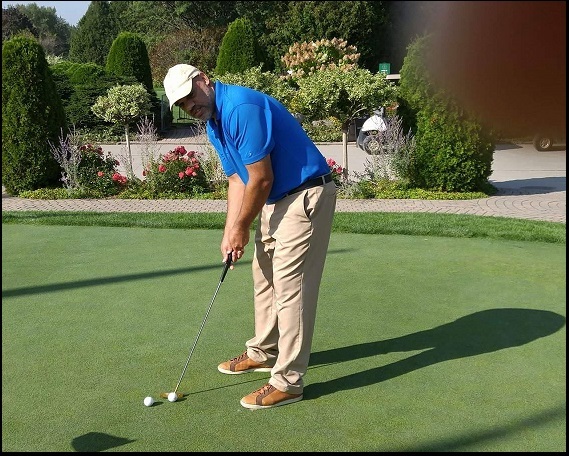 I remember that when the WAX Golf reader (with whom I am now great friends) who sent it to me came to Toronto and we hooked up for a round of golf, he commented on how pure I was rolling the ball. Well, it was with his putter! I can’t imagine ever using another putter.